THE AFL has released the important dates for this year’s Mid-Season Rookie Draft, with clubs able to open a list spot right up until the day of the draft. The draft will be held on the evening of Monday May 27 after the conclusion of round 10 and clubs will have until midday that day to make a list spot available. Currently six positions remain open following the supplemental selection period (SSP), however that is expected to grow with teams able to place players on their long-term injury list for the year to open up mid-season selections. As per the NAB AFL Draft, the Mid-Season Rookie Draft will be selected in reverse ladder order set at the end of round 10. Those eligible to be selected include any individual who nominated for the 2018 draft or has previously been on an AFL club list. A player who retired in 2018 must have nominated for last year’s draft to be eligible to be selected. As a result, Hawthorn champion Cyril Rioli will need to wait until 2020 for any potential AFL return. Any player delisted at the end of 2018 cannot be re-selected by the club that delisted them unless they nominated for last year’s draft. There will be a five-day window for players to nominate for the Mid-Season Rookie Draft from Monday, April 29 to Friday, May 3. Players selected in the Mid-Season Rookie Draft will be able to negotiate terms of a new contract beyond 2019 just like any other listed player. The League has also moved to offset concerns held by state league clubs by introducing a number of parameters. A player drafted from a state league will not be asked to play against their original club unless all parties agreed. For example, should Williamstown defender Sam McLarty be selected by Carlton, he will not be allowed to represent the Blues’ VFL affiliated Northern Blues against Williamstown, unless the Seagulls approve. FULL INJURY LIST Who’s racing the clock for round one? State league players also have the ability to return to their original club to participate in finals if their AFL club’s season is over. It is understood state league clubs will receive a financial reimbursement from the AFL club should they lose a player in the draft. 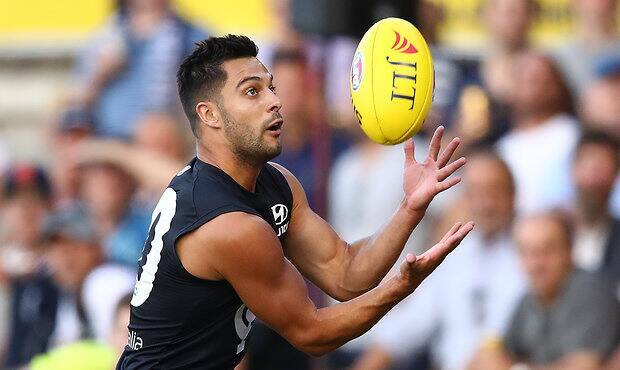 Meanwhile, it is also believed that any player selected in the Mid-Season Rookie Draft that is not retained by their club, or selected by any other at the end of 2019, will receive a financial sum of around $20,000. This year’s Mid-Season Rookie Draft will be the first of its kind since 1993.